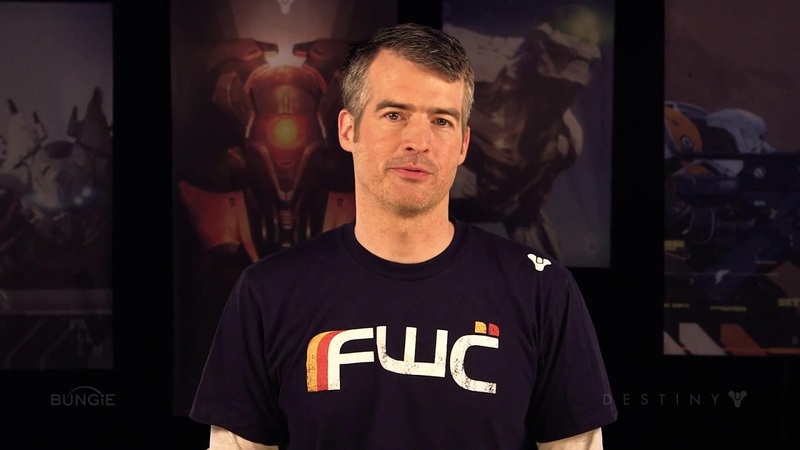 In a move that will wreak havoc at Bungie, founder Jason Jones has announced he has quit Bungie and will no longer be working on any projects, including the forth coming Destiny, a game he has been credited as being the creative force behind. "My time with Bungie has come to an end. As I look back on my career, I've made some good games but at this stage of my life I've had a gutsful of being the chief Overlord at Bungie, and I need to find some new air to breathe. Farewell, and see you beyond the stars"
The internet has been rife with skuttlebut this morning with some Bungie forums suggesting Jones had cracked under the pressure of making Destiny, a game which possibly had the highest expectations for any game in recent history. Some telling details have emerged on twitter about this issue. Marty O'Donnell, a long time Bungie stalwart tweeted "Sorry I stole your lunch Jason" while Frank O'Connor from rival studio, 343 Industries tweeted, "good luck with your re-invention of Tetris"
No other Bungie employees have made any public comment at this stage. 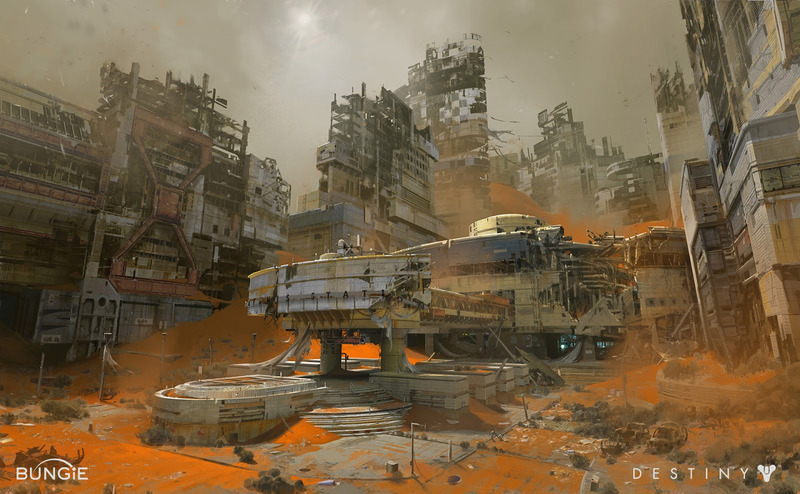 Destiny is expected to be released on 1 April 2014. For clarity, this was an April Fool's joke. Joe Staten leaving was not. Following the critical and commercial success of the record-breaking 2012 release Halo 4 Original Soundtrack by the award-winning producer and composer Neil Davidge, we are pleased to announce, in conjunction with 7Hz Productions, the release of Halo 4 Original Soundtrack Volume 2, available on April 8th 2013. Halo 4 Original Soundtrack Volume 2 is a 20-track digital release and companion volume, featuring an expanded landscape of the key musical themes from the game that we couldn't fit on the first volume. 11 of the tracks are composed and produced by Neil Davidge with a further 8 by 343 in-house composer Kazuma Jinnouchi. The soundtrack also includes Kazuma’s new interpretation of Martin O’Donnell and Michael Salvatori’s iconic “Never Forget” from Halo 3. 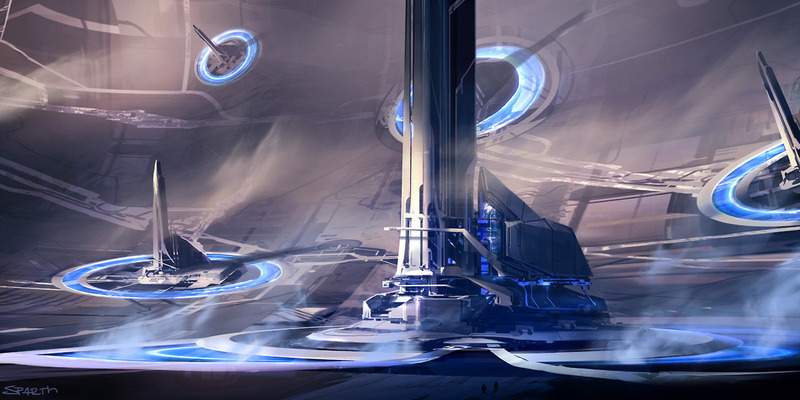 The tracks on Halo 4 Original Soundtrack Volume 2 are presented in chronological order as they appear in the game, to help bring the listener right into the heart of the Halo 4 experience. 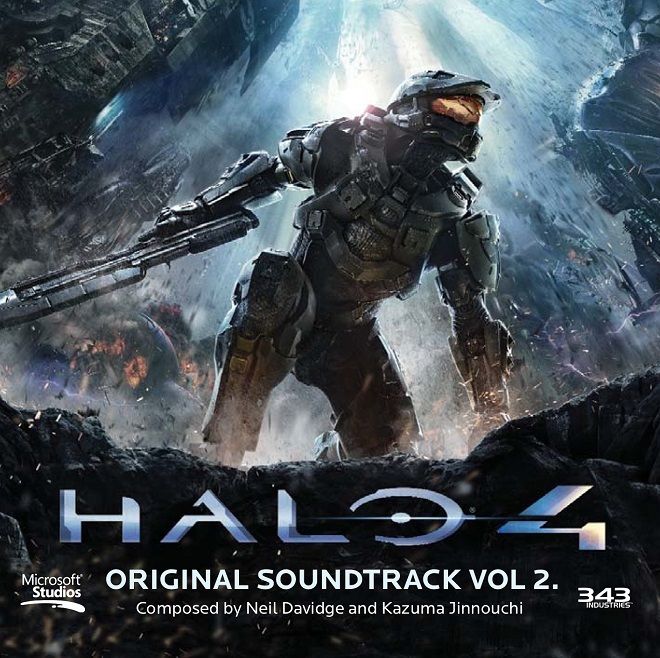 Halo 4 Soundtrack Volume 2 will be available April 8th for $9.99. 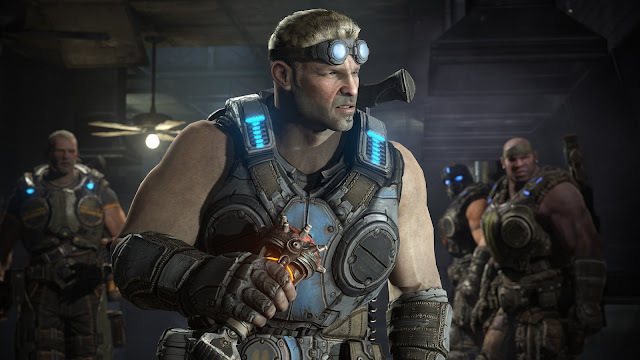 This video is actually kinda amusing - it's pure promo for Gears of War: Judgement but the ad libbing as Dywane, a rest home based retiree and Kumail play the new game is quite good. 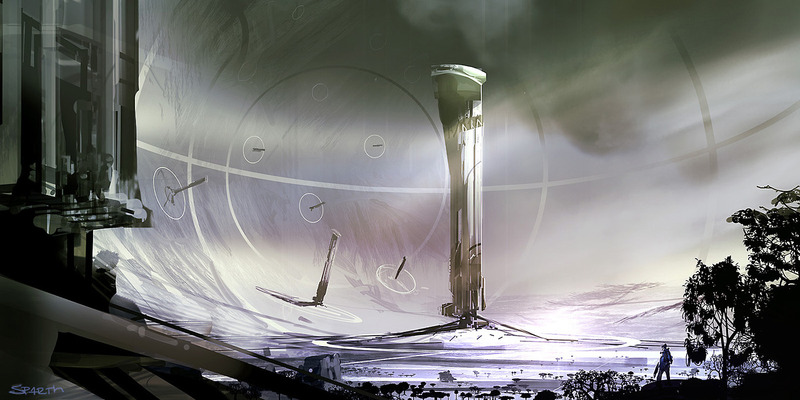 Bungie teased that Destiny was coming as far back as the Halo 3 spin off, ODST. Another teaser was found in that game, note the triangle 'Asklon' logo was the same in the first Easter egg. Here's another piece of concept art from Destiny. It appears to be called Atlantis Station and is seemingly derelict except for that blue light coming from inside. What lurks at Station Atlantis? "The Office of Naval Intelligence, commonly referred to as ONI, is the intelligence service branch of the UNSC. While ONI serves various functions and operates under a multitude of subdivisions, the existence of the Reverse Engineering and Prototyping–Xenotechnology department, acronym REAP-X, is unknown outside the ONI division. Working under the ONI umbrella, REAP-X develops concepts, technologies and applications that are often field tested by ONI via other military branch deployments. The REAP-X department evolved from smaller splinter groups created during the Human-Covenant War and helped funnel weapons and shield technology to human forces via Misriah and other firms as the war came to a close. 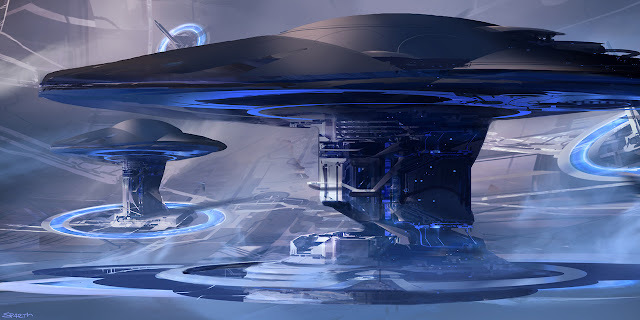 Its big breakthrough however, was a Forerunner slipspace engine discovery that created the basis for the engineering concepts that helped complete the Infinity project. With unlimited resources, funding and attention from top brass the department houses many variants of never before seen military vehicles developed for special missions." 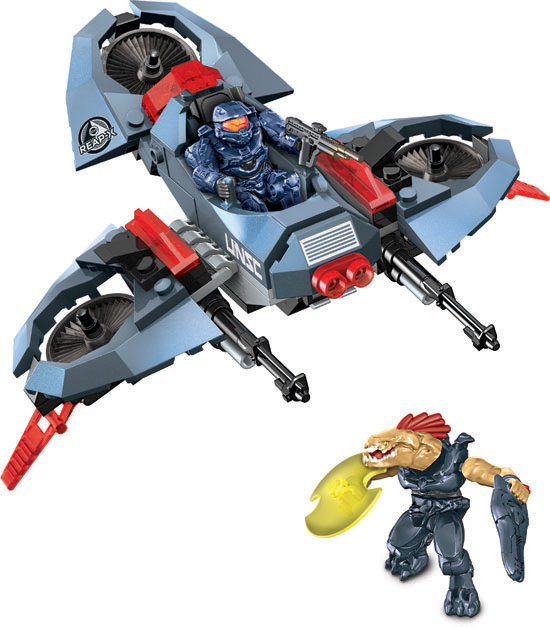 We're light on real details but I'll speculate maybe the VTOL was cut from the campaign of Halo 4? Created in collaboration with DK Publishing, we are proud to announce Halo 4: The Essential Visual Guide, a companion to the world of Halo 4. Featuring detailed, annotated artwork, Halo 4: The Essential Visual Guide fleshes out this broad universe with a vast collection of facts from the first installment of Halo’s Reclaimer Saga. Fiction fans will love immersing themselves in the perilous world of Halo 4 with detailed sections about the characters, factions, weapons, vehicles, equipment, armor, ships and locations. Halo 4: The Essential Visual Guide engrosses readers in the rich lore with in-depth profiles focusing on the roles and significance of the many things which inhabit the vast, mysterious and dangerous Halo Universe. Halo 4: The Essential Visual Guide will be available to purchase on 9/24/2013 for $16.99. 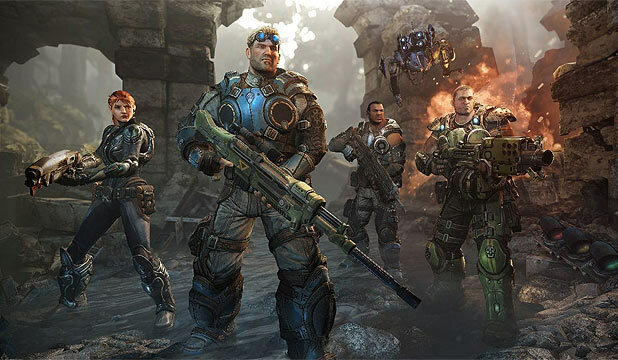 When is a Gears of War prequel not a prequel? When Judgment ships with a second, unlockable mini campaign set in the GOW3 time period. Maybe People Can Fly realised that having a prequel was not exactly the coolest thing to do for a franchise 3 games in. They mixed up the Judgement campaign with optional missions, flash backs to give the campaign a bit of novelty. One thing they kept secret until the game’s release was that having completed the campaign, a second campaign called 'Aftermath' is playable if the player has done enough diligence during the first campaign. That’s a nice way of mixing it up. 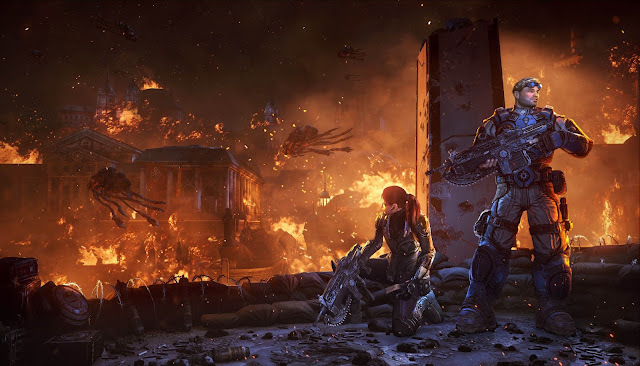 Aftermath takes place the end of GoW 3 when Baird, Cole, and Carmine set out to track down reinforcements before the COG invade Azura. Aftermath is set at a two game play length. Aftermath can be unlocked by completing each level of Judgement with style and panache. More head shots or fancier execution finishers will grant players ‘stars’ and the more stars you get, the more of Aftermath becomes available. “So you’ll see when you go in there some people you recognize, some places, maybe even some enemies and then see how the two storylines weave together in the context of the whole. Obviously we don’t want to give away too many spoilers in how it’s going to end or what you’re going to see. I gotta admit, I was fairly worried about GOWJ being a prequel but it looks like a lot of work has gone into making it a great game.